The JT-60SA, or Japan Torus 60 Super Advanced, is a collaboration between the Japanese and European fusion research communities intended to compliment the International Thermonuclear Experimental Reactor under construction in Cadarache, France. Managed by the Japan Atomic Energy Agency at the Naka Fusion Institute, and governed by the “Broader Approach” agreement between Europe and Japan, the project will be an upgrade to the JT-60 fusion reactor built in 1985. While the JT-60SA and ITER are independent research initiatives, JT-60SA was designed to support ITER’s research aims by developing and testing practical and reliable plasma control schemes suitable for future power plants. When JT-60SA goes live in 2019, major research fields will include operation regime development, stability and control, transport and confinement, high-energy particle behavior, plasma material interaction, fusion engineering, and theoretical models and simulation codes. 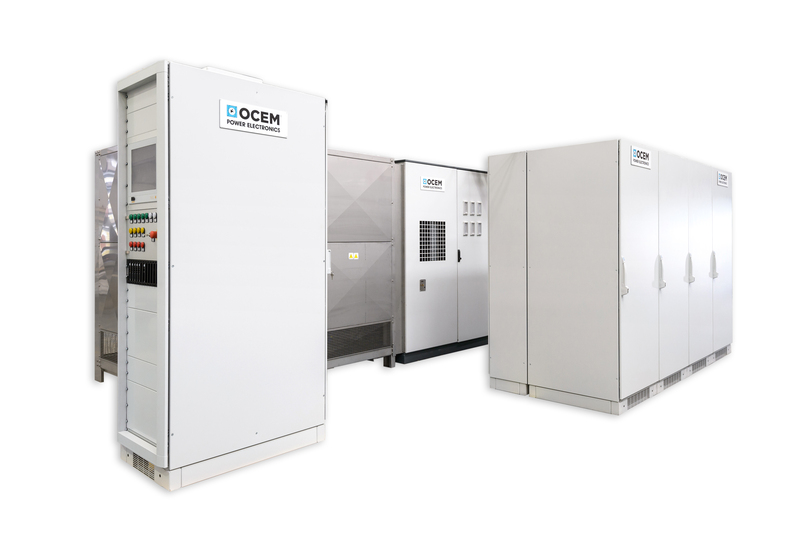 OCEM Power Electronics was commissioned to produce four Switching Network Units, or SNU’s, to induce and sustain the loop voltage needed for plasma initiation in the JT-60SA.